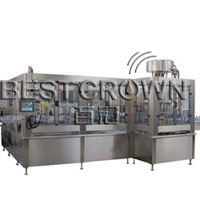 Best Crown bottled water production line is designed for filling mineral water, purified water or other non-carbonated liquid into PET bottle. With the production capacity ranging from 2000 to 36000 bottles per hour, it can suit your different production requirements. This water production line is mainly composed of a bottle lifter, bottle unscrambler, air conveyor, rinser-filler-capper monobloc, cap lifter, light test box, labeling machine, ink-jet printer and packing machine. DGY series rinser-filler-capper monobloc is an efficient automatic liquid packing machine that perfectly combines bottle rinsing machine, pressure filling machine and capping machine. Empty bottles are orderly fed into the rinsing machine by an air conveyor, and then are turned over and washed inside by the nozzles. After dripping, bottles are automatically sent to the filling machine for high quality and high speed filling. At last, the capper is used for safe and reliable capping of these bottles. 1. All parts in contact with liquid and material are made of superior stainless steel to meet the requirement of food hygiene, for example, the filling valves utilize stainless steel 316. 2. Adopting pressure type filling, the filling machine can accurately fill at high speed while maintaining high filling quality. 3. Bottles are fed by the air conveyor, conveyed by clipping the bottle neck, and put out via the conveyor chain, thus making it easy and convenient to change bottle size. 4. The use of the advanced "PICK, PLACE" capping system assures reliable capping. Besides, the magnetic clutch capping head with torque calibration help achieve easy torque adjustment. 5. Our bottled water production line is controlled by frequency conversion motor+PLC+man-machine interface. So production speed, shift production and failure alarm etc. are displayed on the screen for simple operation. 6. The machine is equipped with stainless steel shield and safeguard door (made of organic glass, with safety electrical switch). The machine will automatically stop when the door is opened. 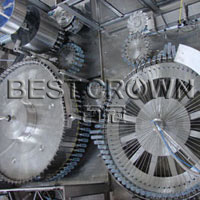 In addition, handle switch and scramming buttons are equipped at the four corners of the machine. 7. Rinsing clips made of stainless steel avoid bottle neck pollution. 8. There is a stopper on the slide way of caps, which can stop the moving conversed caps and take them out. The cap magazine and cap slide way are equipped with detectors to detect the cap quantity and position for controlling the speed of cap conveyor and the machine. The machine will automatically stop and alarm if there is no cap or few caps on the slide way. 9. 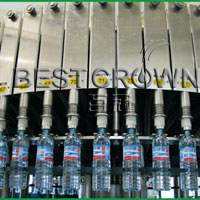 Our bottled water production line is also equipped with bottle detectors. When there is no bottle or the bottles are blocked, the machine may automatically slow down or stop. 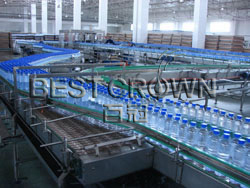 As an experienced bottled water production line manufacturer and supplier in China, Best Crown is able to offer you bottled water production lines which can be used as pure water production lines and mineral water production lines. As our beverage production lines are reliable, efficient, low priced, and CE certified, they are very popular with customers from Mongolia, Malaysia, Russia, England, Canada, the USA, Mexico, among other countries. Apart from bottled water production lines, we also offer water filling machines, juice filling machines, tea drink production lines, etc. 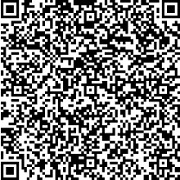 to suit various needs of our customers. Please feel free to contact us for more information. We are certain you will be satisfied with high quality products.